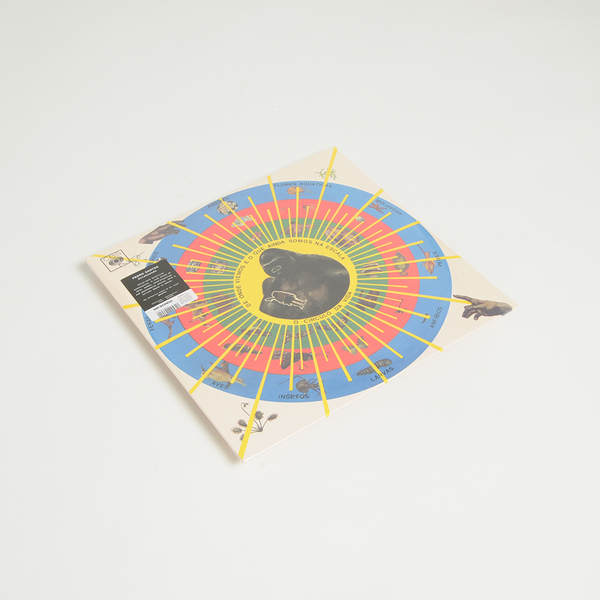 “Krishnanda is an album in the truest sense of the word – a spiritual, psychedelic Brazilian masterpiece from start to finish – celebrated by everyone from Seu Jorge and Kassin to Floating Points, Madlib, Quantic, Gilles Peterson and DJ Nuts. These days, originals change hands for thousands of dollars. Pedro dos Santos, born in Rio in 1919, was a percussionist virtuoso, composer and inventor of instruments that apparently included oddities such as the ‘Tamba’ (electrified bamboo drum) and the mouth berimbau whistle. Nicknamed Perdo ‘Sorongo’ after the rhythm he invented, that features throughout ‘Krishnanda’. A highly spiritual man who was regarded as a philosopher by many. He worked with greats including Baden Powell, Elis Regina, Maria Bethany, Elza Soares, Sebastião Tapajós, Roberto Ribeiro, Milton Nascimento, Clara Nunes, Paul Simon and Arthur Verocai, playing on his legendary self-titled LP. 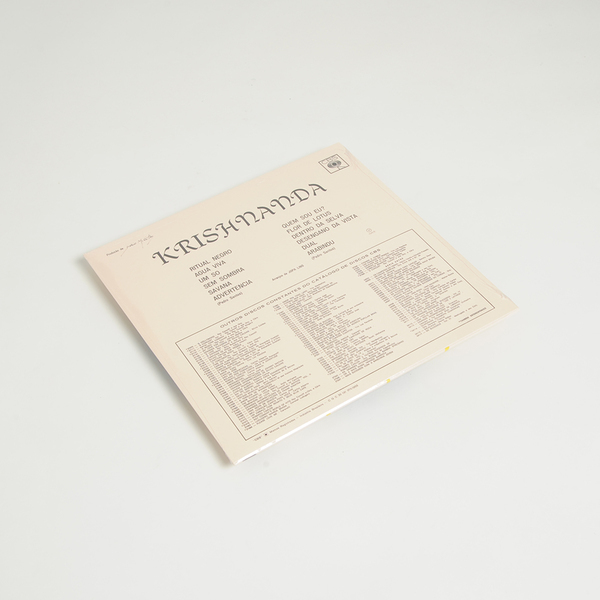 In the same vein as Verocai and his self-titled LP, ‘Krishnanda’ was Pedro’s chance to shine with his own, and only, solo recording. 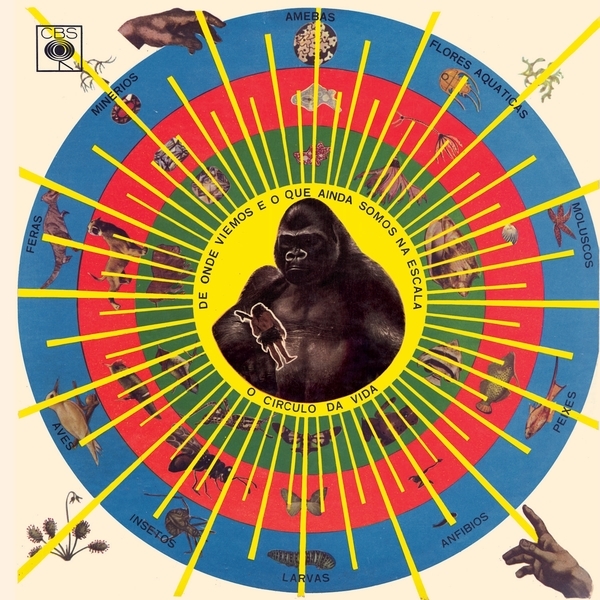 Krishnanda was produced by Hélcio Milito, the drummer of Tamba Trio, and arranged by conductor Joppa Lins, and originally released in 1968 on CBS (Brasil). Musically, the album touches folk, samba, afro-brazilian and psychedelia plus added effects, with a lyrical depth and diversity to match; themes including morality, perception, existence and ego. Despite the genius of the record and the influence that it had on musicians at the time of release, it disappeared into obscurity. We first discovered the record around 2003, through a friend Julio Dui. Around that time Brazilian funk and bossa was the flavour of the day, so didn’t catch our ear immediately, however it continued improve with age and now we consider it to be one of the best albums ever made, regardless of genre or origin."